Dare to dream and bold things can happen. That’s the sort of brave and innovative thinking that led to the creation of the Civic Sedan. Its bold styling is evident from the outside-in, with a chiselled piano black sports grille and sleek wheel design, complete with all the technology to keep you entertained and in touch. Plus, Honda Sensing is now available across more grades than ever before, to support and enhance your driving senses. It’s a thrilling drive like no other. A bold design, for a new era. 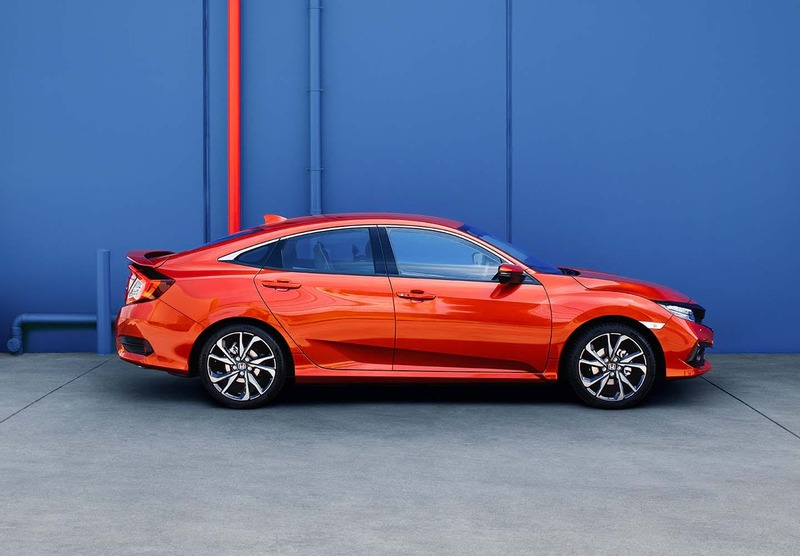 With a low wide stance and fierce design, the Civic Sedan was built for those who were born to stand out. 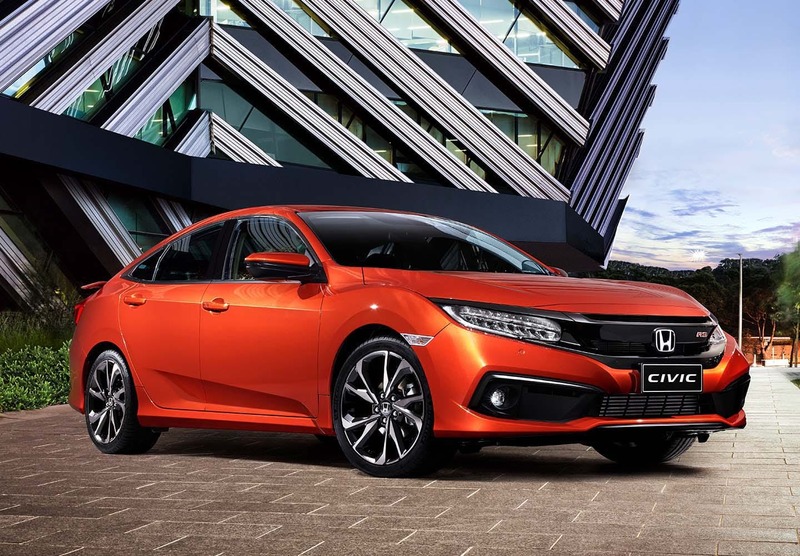 Redesigned from the ground up, the Civic Sedan features stylish alloy wheel designs and a chiselled piano black front grille. Dramatic form meets function, with purpose built styling creating advanced aerodynamics. 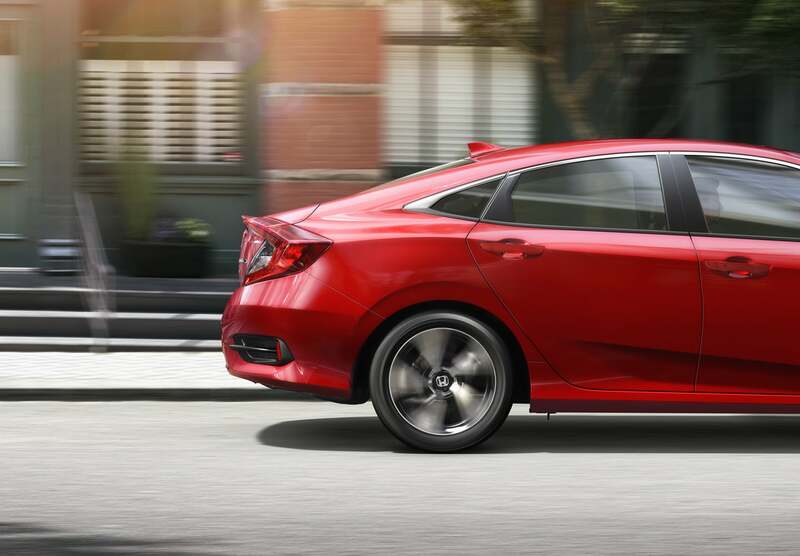 The Civic Sedan slices through the air with a superior stride. 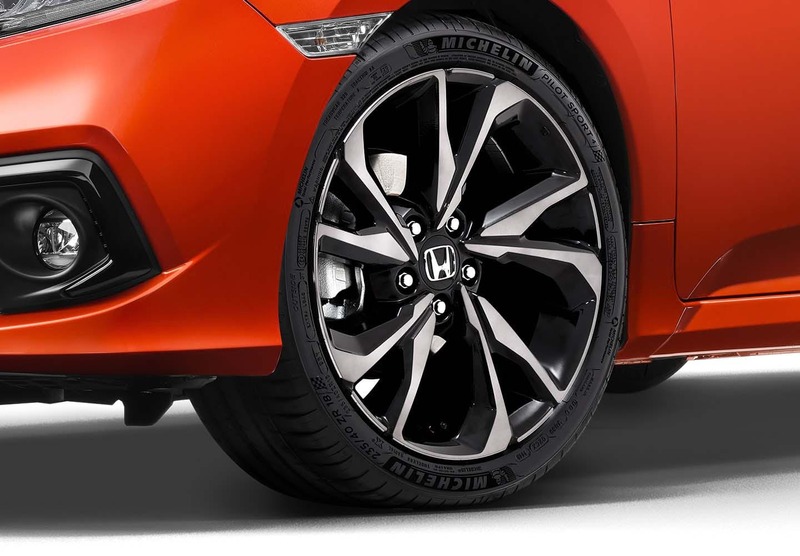 The Civic Sedan’s sleek lines and sporting poise are further enhanced by striking alloy wheel designs available on the VTi-S and above, with 18-inch alloys now standard on the RS. 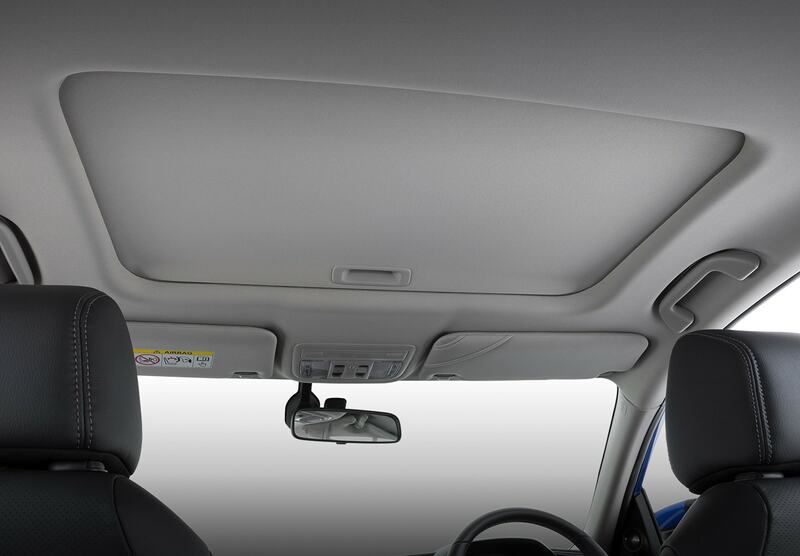 Feel part of the scenery with an electric sunroof* that opens up with one-touch tilt and slide functionality. A sliding sunshade lets you adjust how much light enters the cabin. 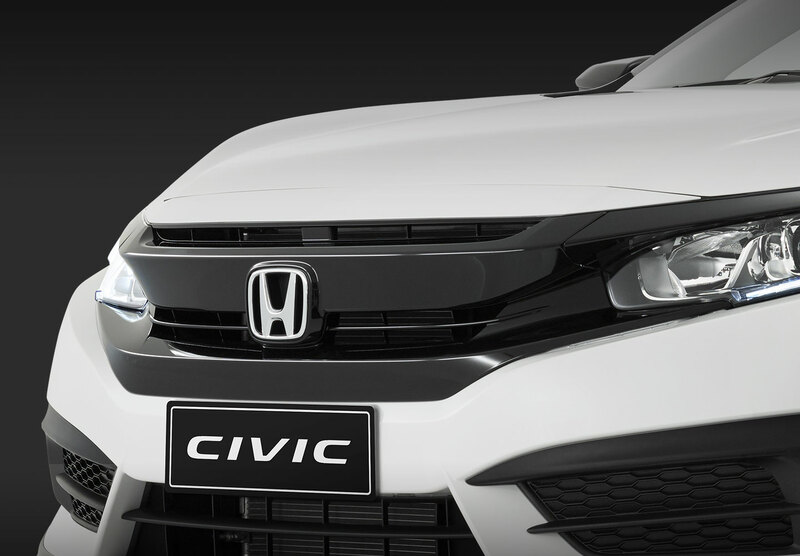 Sharply defined character lines draw the eye toward to the Civic's face, highlighted by a distinct piano black sports grille available on VTi-S grades and above. 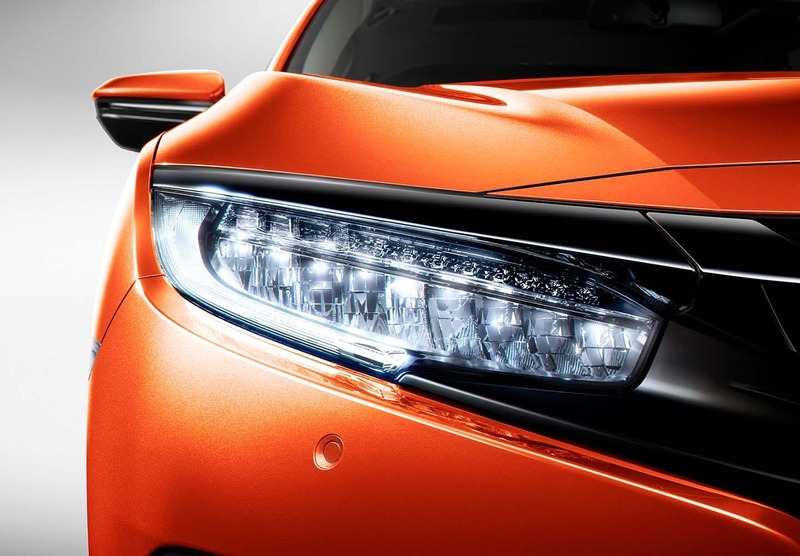 See and be seen with distinctively-designed full-LED headlights on select models, and Daytime Running Lights (DRL) as standard. 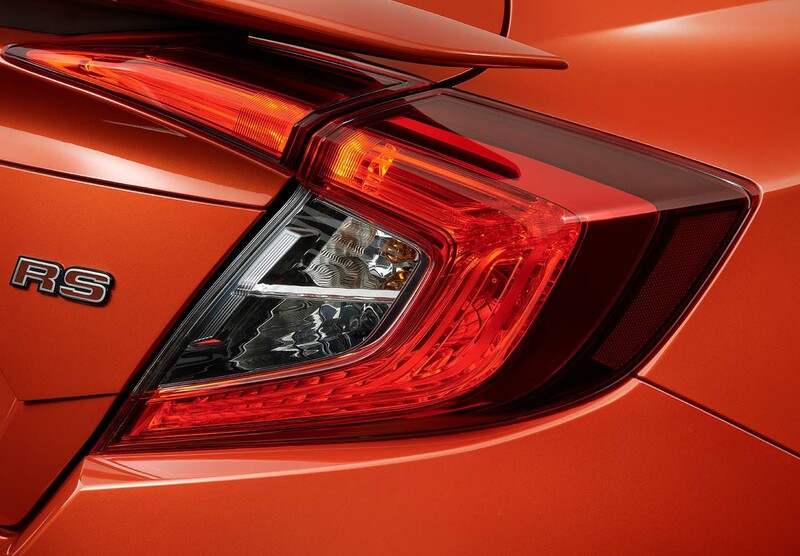 At the rear, beautifully styled tail lights with integrated LED light bars add to the Civic’s unique design. Every bit as practical as they look, these stunning front fog lights light up the path ahead in foggy conditions, and come fitted to VTi-S and above. Choose the RS or VTi-LX with LED fog lights for a dazzling effect. 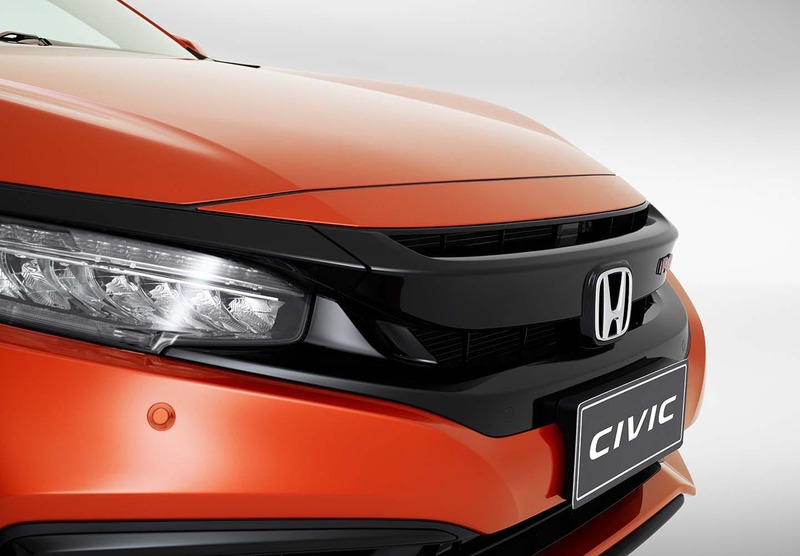 An extension of the Civic’s sophisticated styling, the side mirrors feature seamlessly integrated LED turn indicators, plus an aerodynamic design for reduced noise. 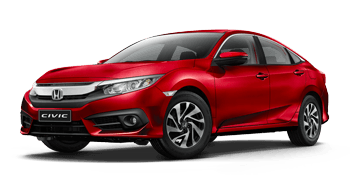 The Civic delivers a sense of spaciousness and premium comfort that belies its small car class. Enjoy a touch of luxury with leather-appointed5 heated front seats on the RS and VTi-LX models. The RS interior is also adorned with sporty red stitching, adding a real race feel to the cabin. Rear seat passengers will appreciate enhanced legroom with curved front seat backs that lend the rear cabin a more open, airy feel. With an adaptable centre console, carrying an oversized drink bottle or storing a full-size tablet has never been easier. Upfront, a two-tiered storage area can hold a smartphone while keeping cables cleverly concealed. There's even a sliding centre armrest, the perfect discreet storage solution. 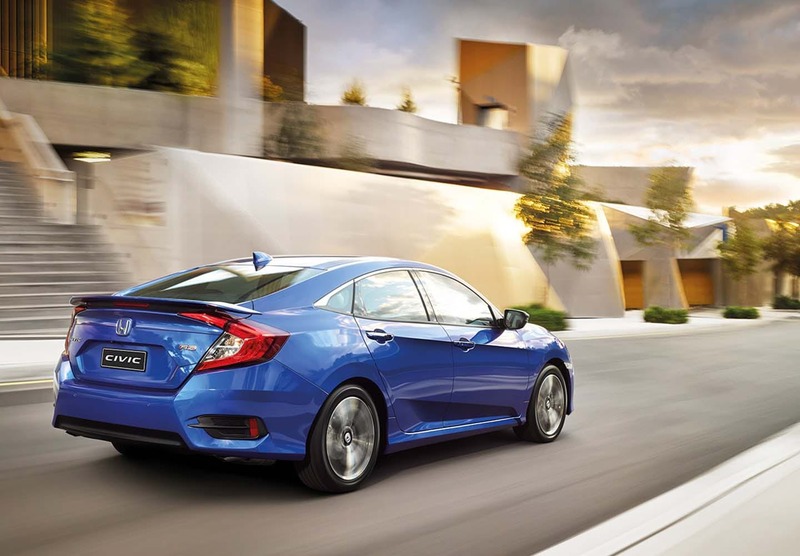 The Civic boasts class leading boot space with as much as 525 litres* available. And with a low lift height and large rear opening it's easy to load and unload bulky items. As if there wasn't enough space already, the cleverly designed 60:40 split-fold rear seats allow you to fit more in while still leaving plenty of room for rear passengers. 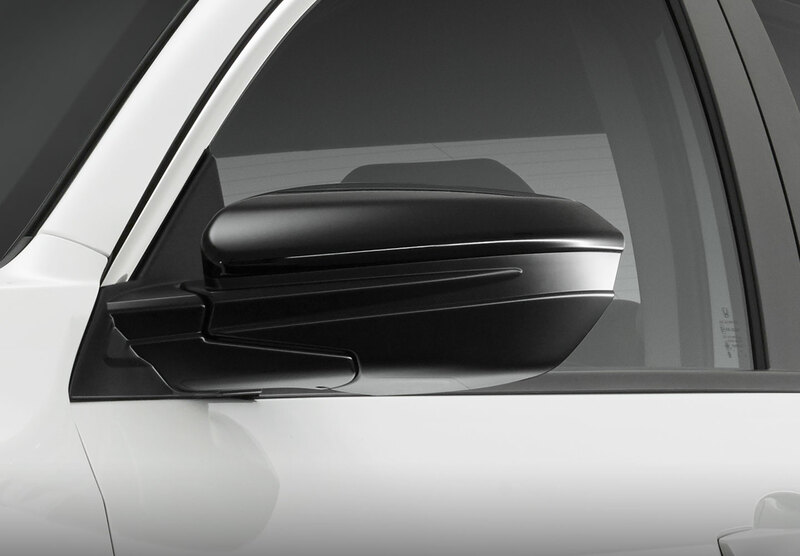 sports grille, side skirts and mirror covers, let you add your own touch. 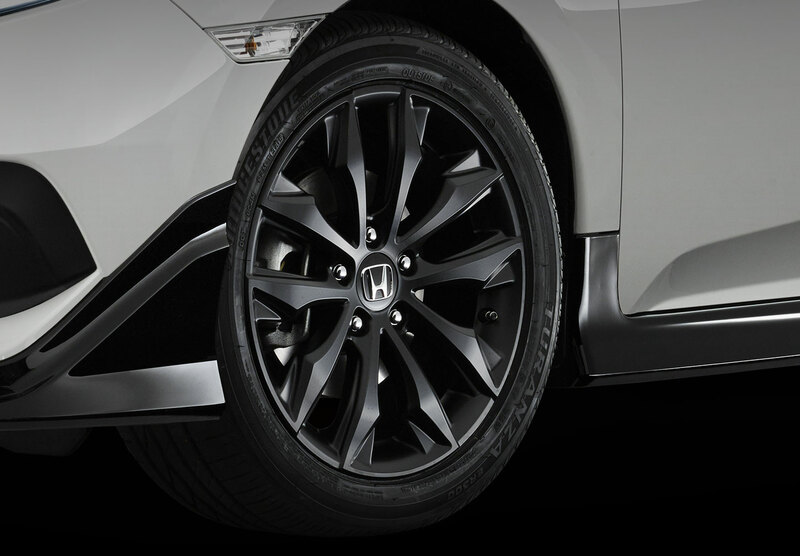 Blacked out 17-inch alloys elevate the Civic from the ground up. The black sports grille always ensures a bold entrance. The black side skirts accentuate a sporty and athletic frame. 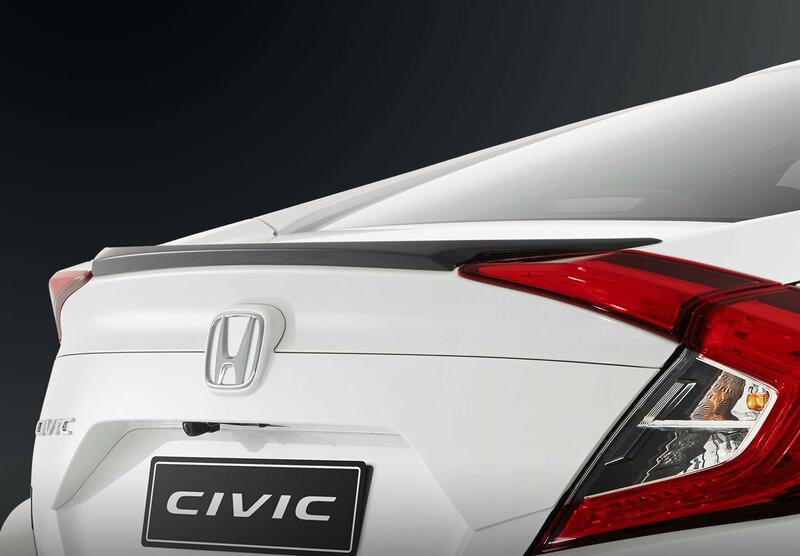 The understated ducktail spoiler gives the Civic a sporty and aerodynamic edge. 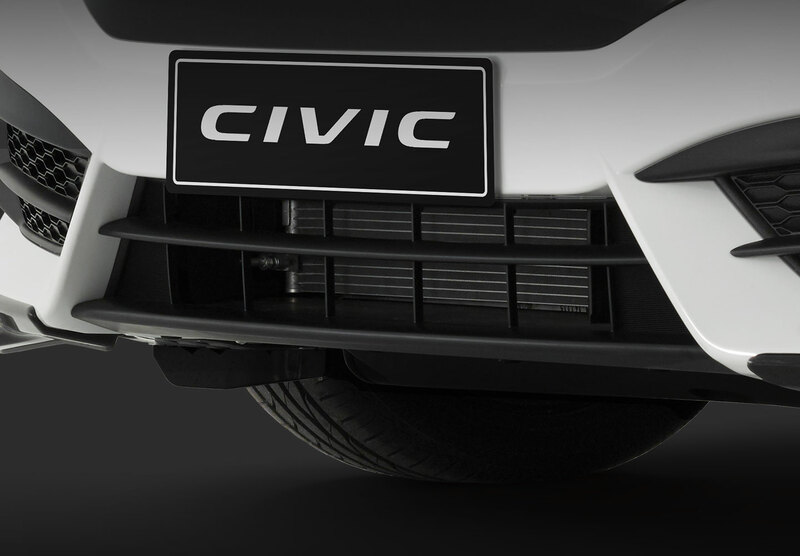 Exchangeable mirror covers finish the Civic with a seamless sophistication. 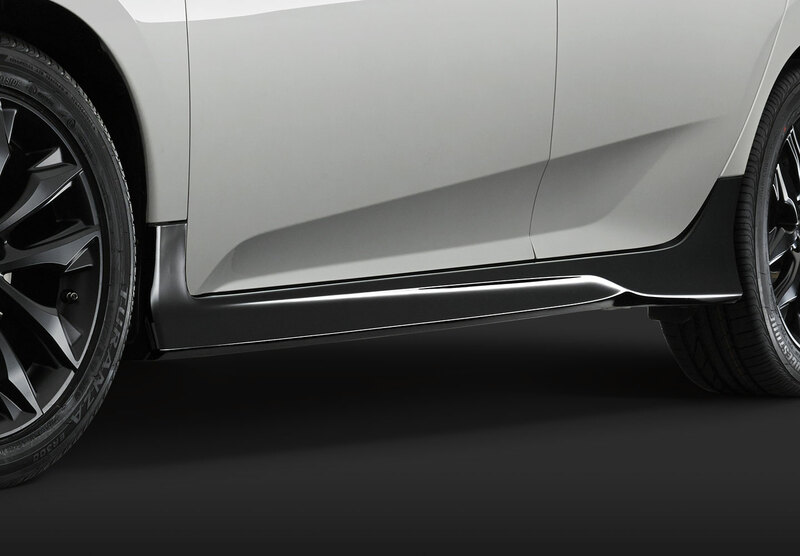 The aerodynamic front under spoiler adds an extra sleek and stylish touch. Fun to drive is in our DNA. A lightweight yet rigid chassis combined with the balanced poise of a perfectly-tuned independent suspension system means you can enjoy sporting agility and smooth-riding comfort. 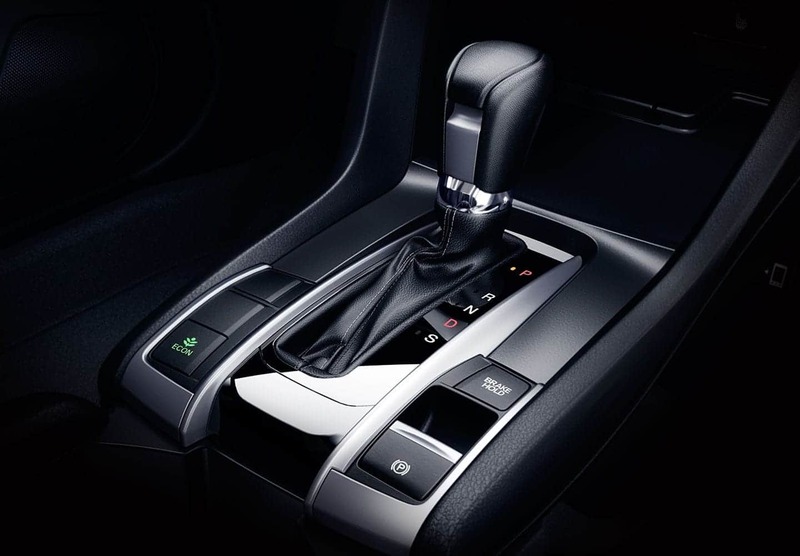 Experience smoother shifts with a new Continuously Variable Transmission. 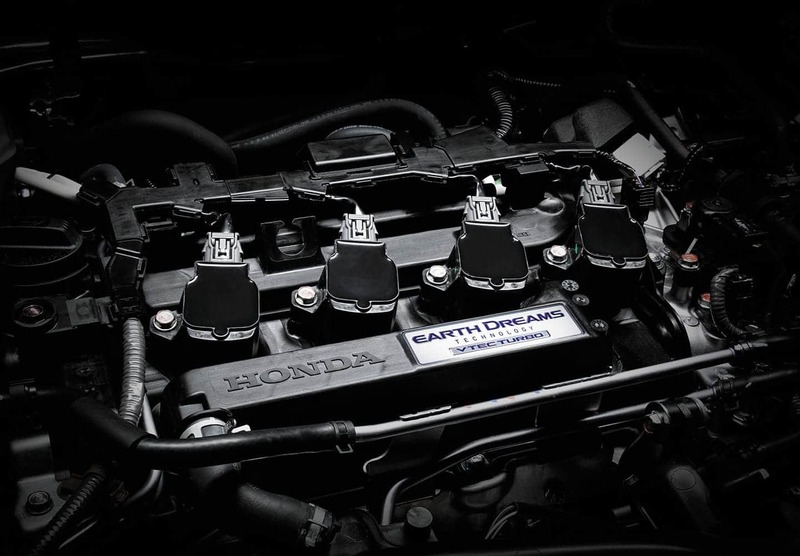 Embracing Honda's Earth Dreams Technology, it helps maximise efficiency whatever the conditions. Available on VTi-L and above, ergonomic paddles on the steering wheel allow you to manually shift gears with ease, giving you more control over your drive. Not to mention added fun for a more engaged driving experience. Get a more responsive and dynamic drive from the moment you set off. With the 127kW VTEC turbo engine it's a thrilling drive like no other. Available on VTi-L and above. 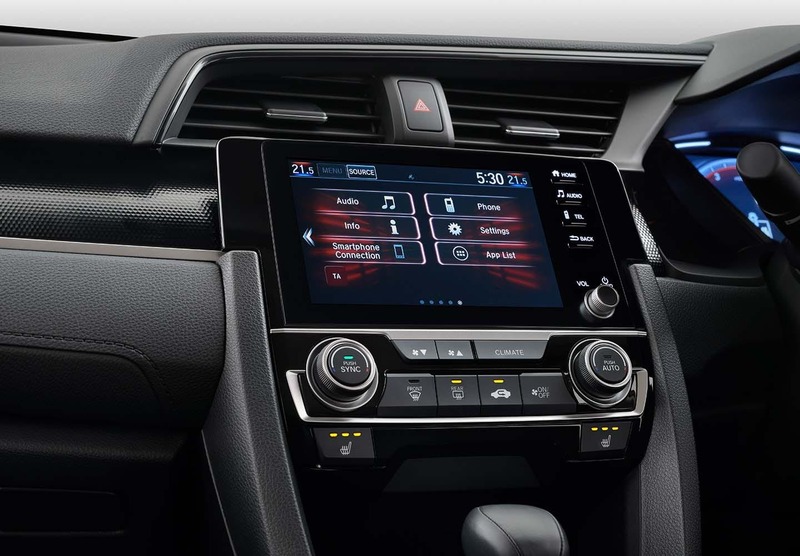 Android™ or iPhone® users can now seamlessly integrate their device to the Civic's touchscreen display. Get directions, make calls, send and receive messages, listen to music and even interact with some of your favorite apps. All while staying focused on the road. What's more, with access to Siri® Eyes Free1 or Google™ Voice Search2, you can do much of it without ever having to take your hands off the steering wheel. All you have to do is ask. A brightly lit LCD screen positioned right behind the steering wheel displays what's playing, who's calling and almost everything else you need to know including outside temperature, average fuel consumption, trip meter and distance to empty. Your eyes need never leave the road with steering-wheel mounted controls across the range. With just the touch of a button you can seamlessly control key features like audio and hands-free telephone. Simpler and more convenient, the Electric Parking Brake frees up space, allowing an extended armrest area. The leather-appointed*, heated front seats in the RS and VTi-LX offer an extra touch of comfort and luxury to your Civic. With a choice of two individual heat settings, you'll never argue about the temperature again. 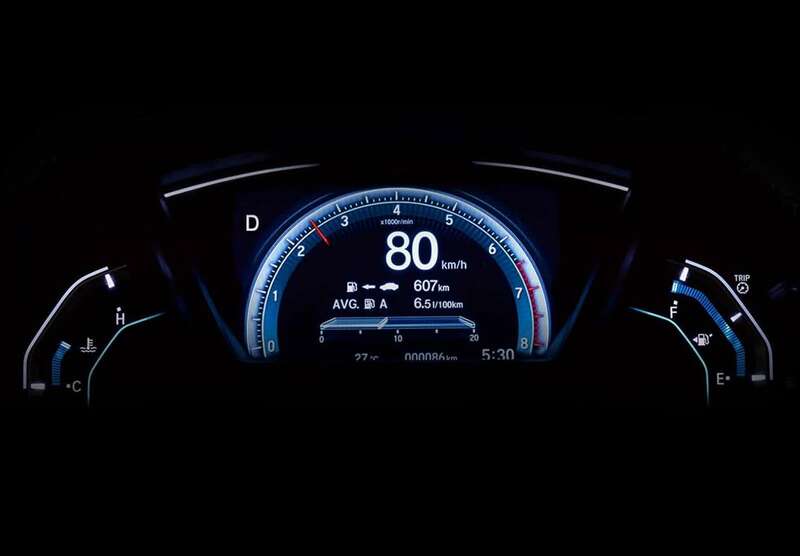 With climate control as standard, simply set the desired cabin temperature and the Civic will do the rest. RS and VTi-LX grades feature dual-zone climate control for the optimal comfort of both front-seat occupants. 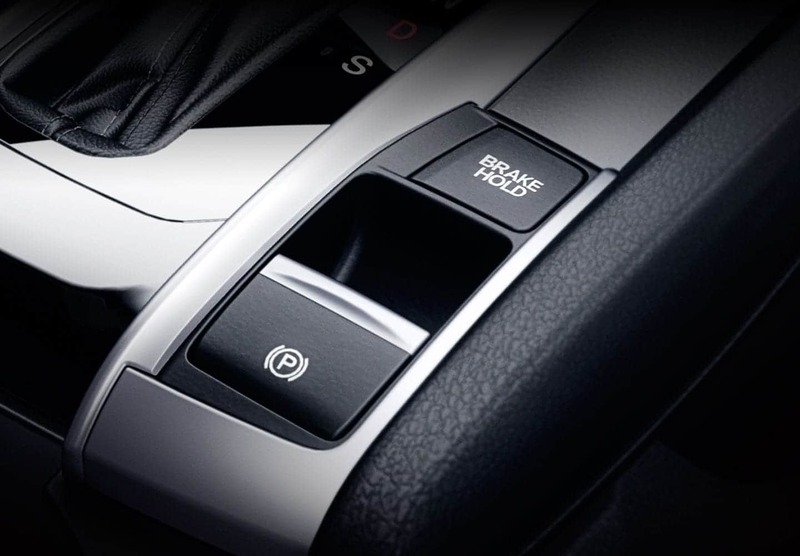 Your desired setting is only a touch away with easy to reach buttons on the climate control panel. It wouldn't be a Honda without its cleverly designed interface. This full-colour, high definition Advanced Display Audio system keeps you connected to your world without distracting you from the road. Simply tap, pinch or swipe and you're in full command. Literally music to your ears, access to all your favourite digital radio stations with crystal clear quality. Available on RS and above. Built into the VTi-LX display you'll find Garmin® satellite navigation to make every journey a breeze and thanks to SUNA live traffic updates, you'll always know how the traffic situation is looking. Once inside you need only push the START button while pressing the brake pedal to start the engine. This technology also detects when your key is outside of your Civic making locking your keys in the car a thing of the past. Available on VTi-S models and above. As long as the key fob is in your possession, VTi-S models and above will sense your approach and unlock the doors as soon as you touch the front handles or boot release. Handy when you've got your hands full. Get a better view of what's behind you with a multi-angle reversing camera as standard. It can display three different angles: normal, top-down and wide. It's the ultimate rear-view visibility. LaneWatch* uses a small camera in the passenger’s side mirror to display live video on the 7-inch Advanced Display Audio screen giving you a clearer view of the passenger side traffic conditions. Say goodbye to blind spots. Honda Sensing supports and enhances your driving senses to help keep you safer on the road. These intelligent technologies improve your situational awareness, and, in some cases, intervene to help avoid a collision or lessen its severity. Forward Collision Warning is our safeguard for drivers in moments of distraction. Using visual and audible alerts, FCW warns you of your proximity to another vehicle in an effort to avoid collision. Our Collision Mitigation Braking System helps detect and prevent a potential collision. Where impact is imminent, a strong emergency brake will be applied automatically as well as a tightening of the seatbelt to protect the car’s occupants. Using the same camera as the FCW system, Lane Departure Warning detects the boundaries of your lane and alerts you should you begin to drift out of it. Upon detecting an off-road drift without indication, the Road Departure Mitigation System will automatically apply braking force and corrective steering to help bring you back into your lane. In conjunction with the LDW system, if no immediate action is taken to correct your course, Lane Keeping Assist uses corrective steering to help bring your car back into your lane. To help combat driver fatigue, Adaptive Cruise Control with Low-Speed Follow allows you to set your desired speed, as well as set the following distance behind the vehicle detected ahead. The Civic has been designed with an innovative body structure, engineered to help absorb and deflect the force of a frontal collision away from the passenger compartment, improving the safety of every occupant. 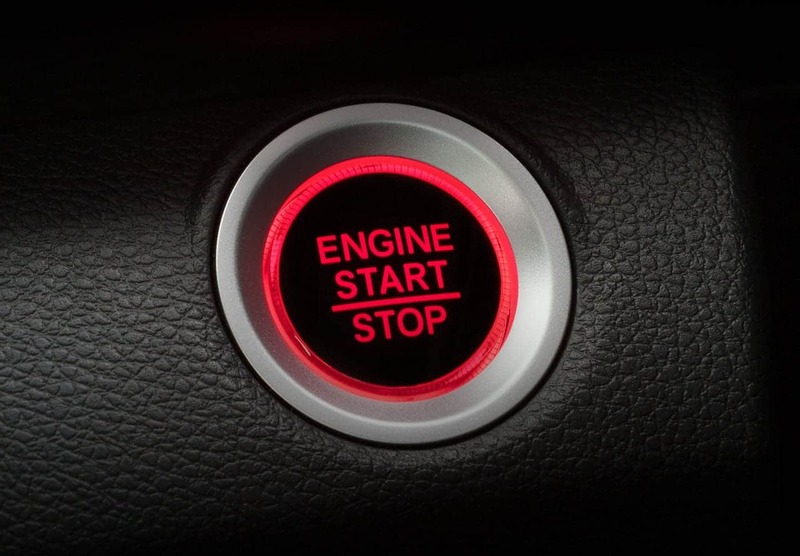 Hill Start Assist, on automatic transmission models, prevents 'roll back' when starting on an incline. The system controls brake pressure, keeping the car stationary for a moment after you release the brake pedal. 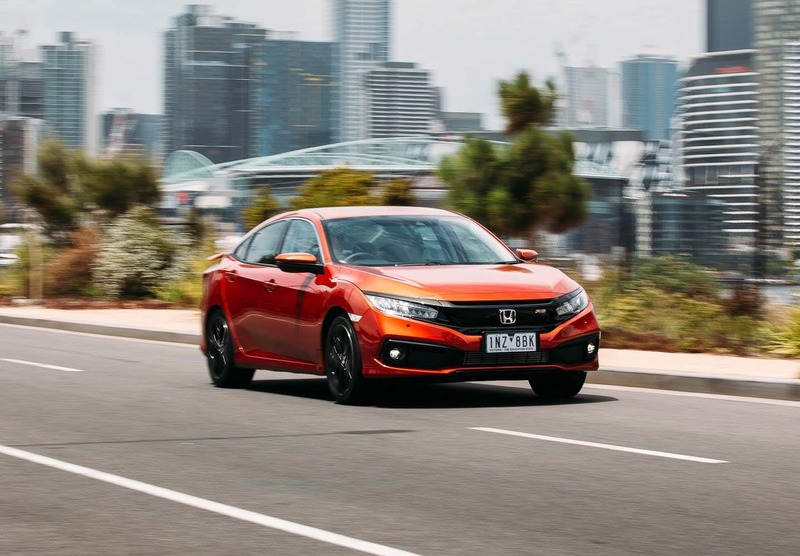 This technology helps keep the Civic on course in adverse driving conditions by detecting, then mitigating, potential understeer or oversteer. When necessary, VSA automatically reduces engine power and manages brake pressure to individual wheels to help regain control. 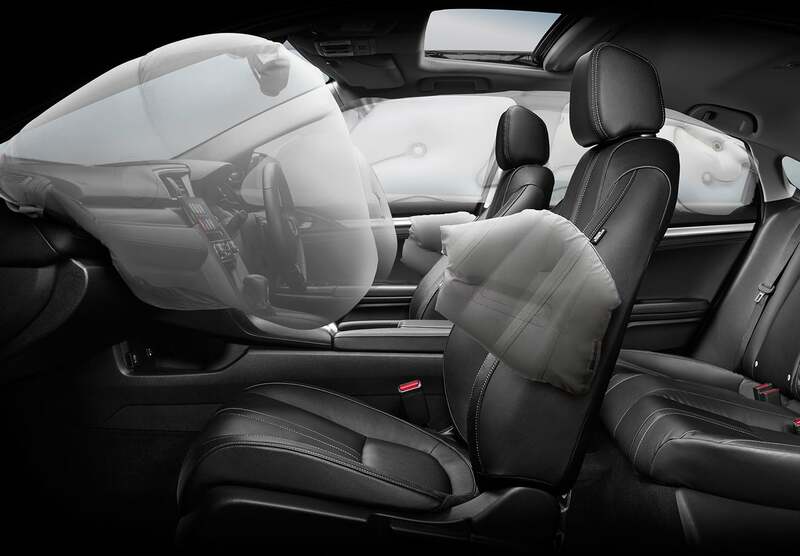 The clever Honda i-SRS driver airbag system inflates at different rates depending on crash severity, seat belt usage and a host of other factors to help keep you safe behind the wheel. Dual front, side and full-length curtain airbags are standard. * The Drive Away price shown is for a Civic in your chosen colour. It includes metallic/pearlescent (where applicable), 12 months registration, 12 months compulsory third party insurance (CTP), a recommended dealer delivery charge, stamp duty and administration charges. The drive away price shown is based on the vehicle being garaged in the postcode you entered, and owned by a 'rating one' driver aged 40 with a good driving record and may differ depending on your circumstances and (for applicable states), your choice of insurer. 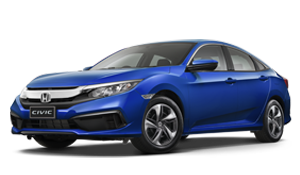 We strongly recommend that you confirm the final drive away price with your Honda dealer. † 5-year unlimited kilometre warranty available on all vehicles except those used for commercial purposes, where a 5-year/140,000 kilometre (whichever occurs first) warranty is applicable. 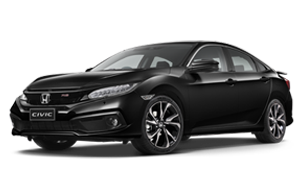 Please speak with your Dealer or visit ;honda.com.au/warranty for full terms and conditions. 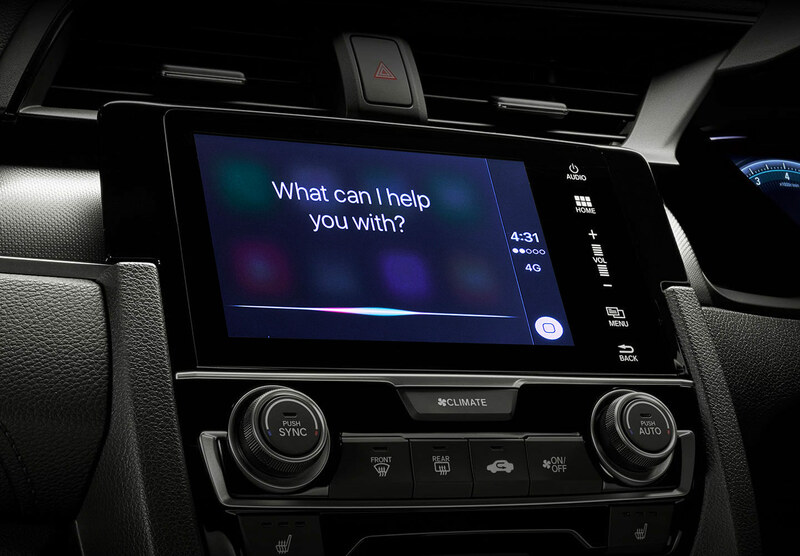 1 Apple CarPlay, iPhone and Siri are trademarks of Apple Inc. CarPlay and Siri requires iPhone 5 model and above running iOS 7.1 or higher. 2 Android, Android Auto and Google are trademarks of Google Inc. Android Auto and Google Voice Search requires Android 5.0 (Lollipop) or above. 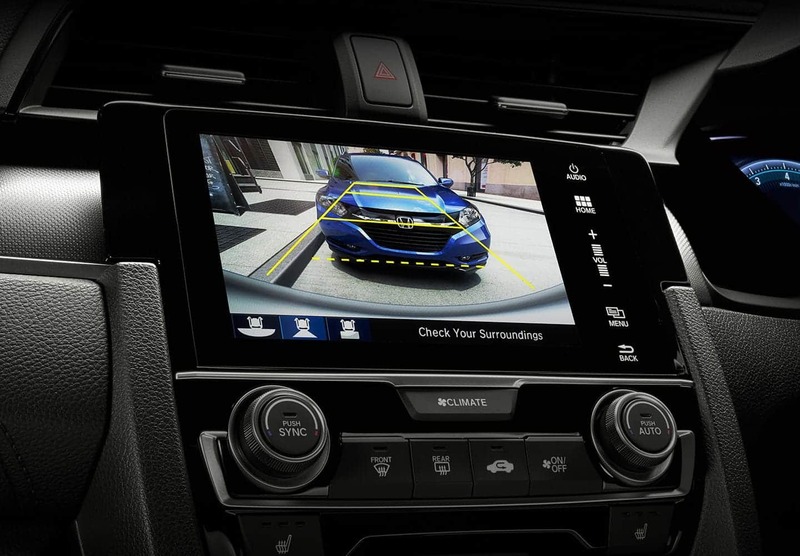 3 Honda Sensing technologies are driver-assist technologies and should not be used in place of safe driving practices. Drivers should continue to monitor the road at all times. 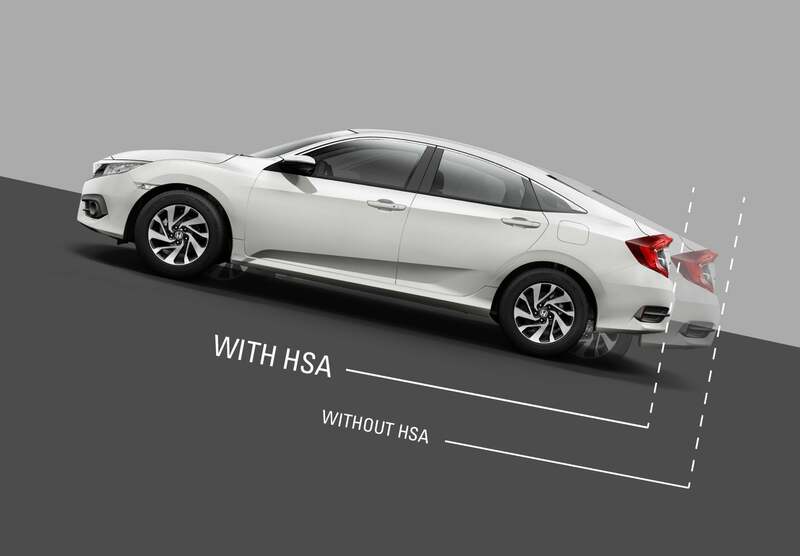 The accuracy and operation of Honda Sensing technologies may vary based on weather, speed, traffic, road conditions, markings and other factors. 4 Digital radio station coverage dependent on vehicle location. 5 Leather appointed means some parts of the seats may contain non-leather materials.